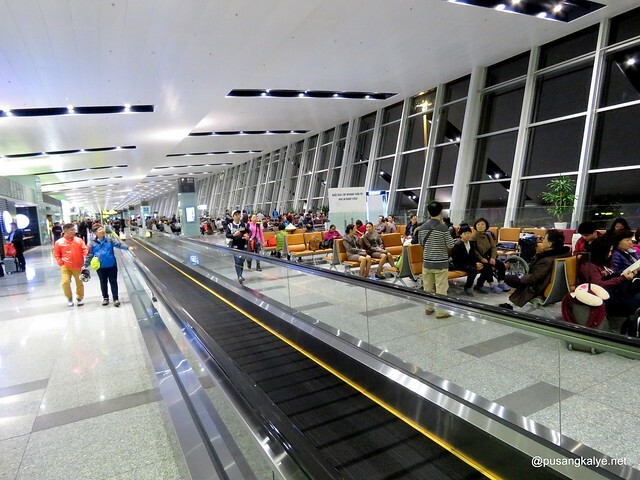 Sometimes life gets in the way of travel like what happened in late 2014 when I cancelled our booking to Hanoi due to personal struggles. But things happen for a reason and life rewards those who wait. 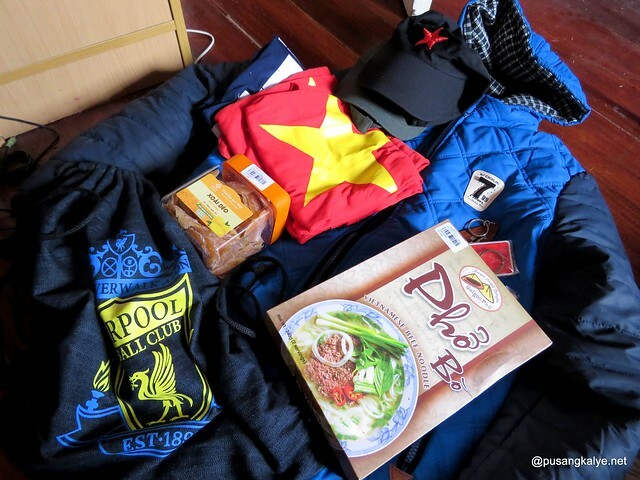 I finally had the opportunity to travel to Hanoi early this year where I spent my birthday alone. 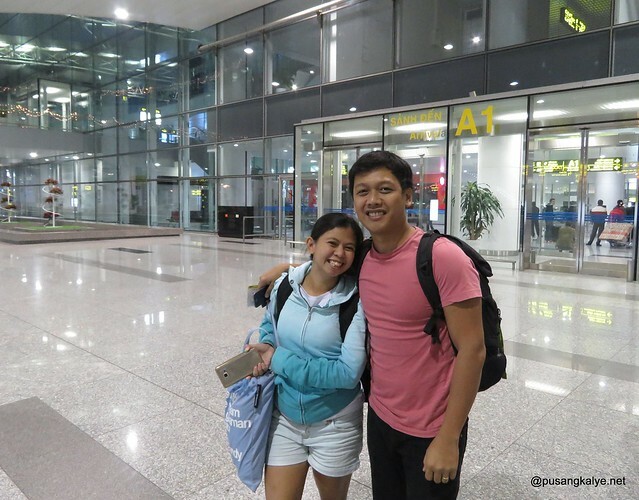 It was my first solo travel outside the Philippines and one of my most memorable international trip to date. I was in Ho Chi Minh City in 2013 with my wife and a couple of friend. It was a very brief encounter with Vietnam culture so I thought I needed to come back for more.  I wrote about the simple experience in the following posts. 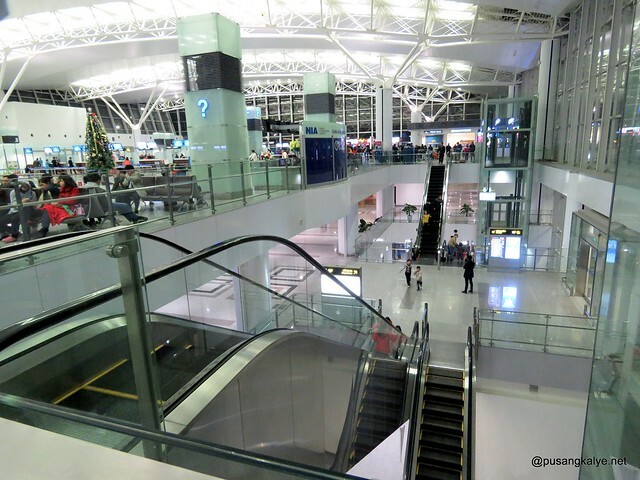 If you fly in via promo ticket from a budget airline as I did, chances are you will arrive past midnight which means you have no other option to get downtown but by taxi. Good thing my seatmates during the flight agreed to share taxi with me so it was big savings for me being alone. 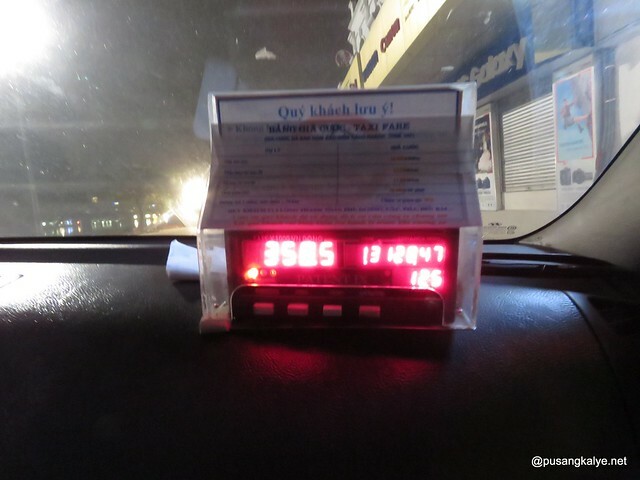 Our total taxi bills was around $18 which we divided by 3. 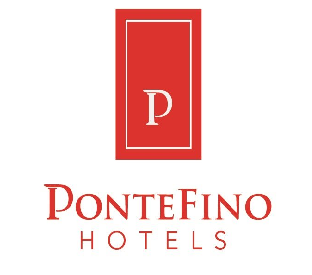 The lovely couple -- Antonio Totto and his wife Lynn -- were so nice they even allowed me to stay in their room since it was already too late to look for my hostel even if both our hostels were located in the Old Quarters. 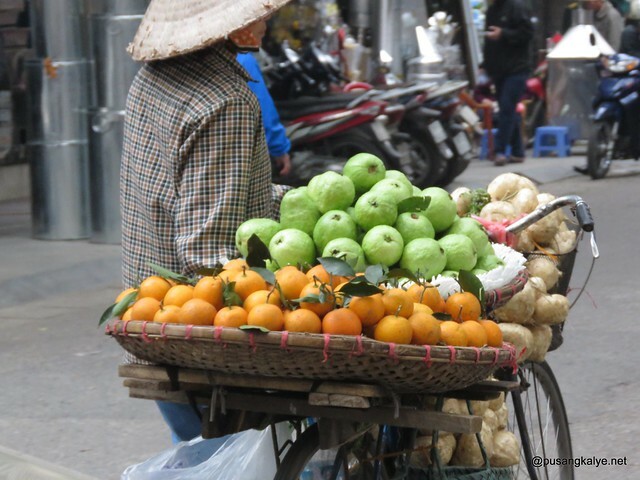 The history of Hanoi goes back over 2,000 years, and the Old Quarter in particular retains an ambiance that gives one insight into the past as well as the present. The Old Quarters is where you should stay when in Hanoi regardless of whether it is your first time here or not. 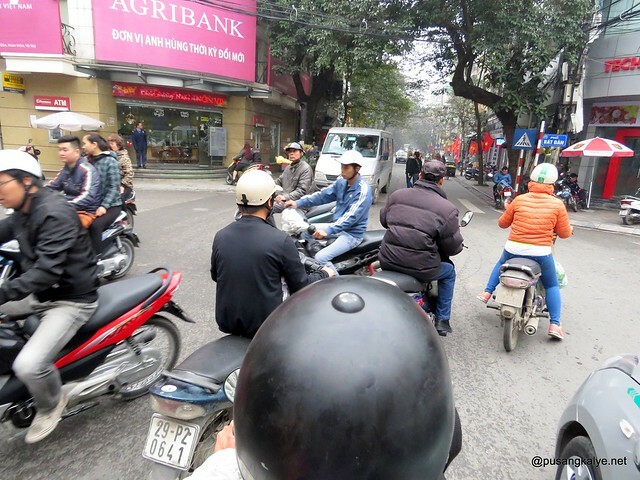 The Old Quarter is the historical heart of Hanoi characterized by small, congested streets, old buildings and thousands of motorbikes bustling around with no traffic rule but not to hit another driver. Crossing the street here is an art and for the brave. 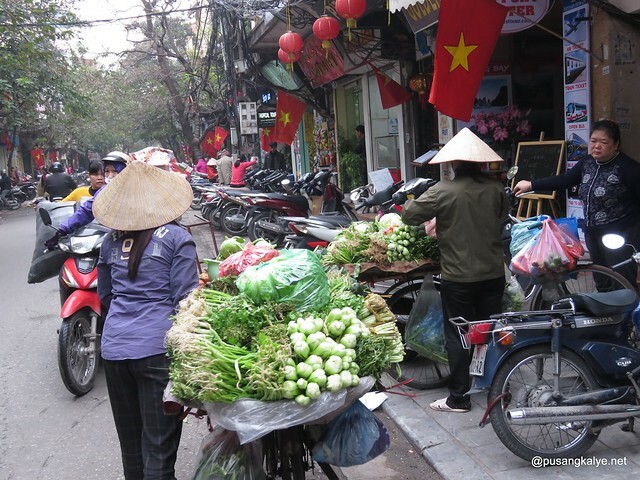 Amidst all the chaos one can find something interesting at every turn, may it be a souvenir shop, a cafe or a Phở house, every inch of the Old Quarter is full with life. I was craving for pho the moment I opened my eyes. Nothing beats a hot bowl of pho on a chilly morning. My newfound buddies and I hit the busy streets and in no time found a small store. At first I was like, "is this it?". I was expecting something with more leaves that comes with it but nothing. I reminded myself it could be that the ones in Ho Chi Minh City is a different version. 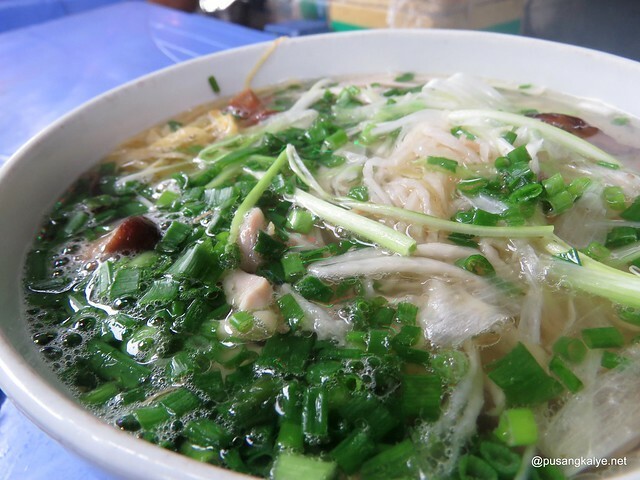 It was just later that I found out that Northern pho is different from Southern Phở in such a way that there are additional garnishes, such as bean sprouts and cinnamon basil (húng quế) in Southern Vietnam. In fact, they are very generous with bean sprouts and basil that it ads to the attraction. With the taste it's pretty similar as the main feature of Phở is the soap. 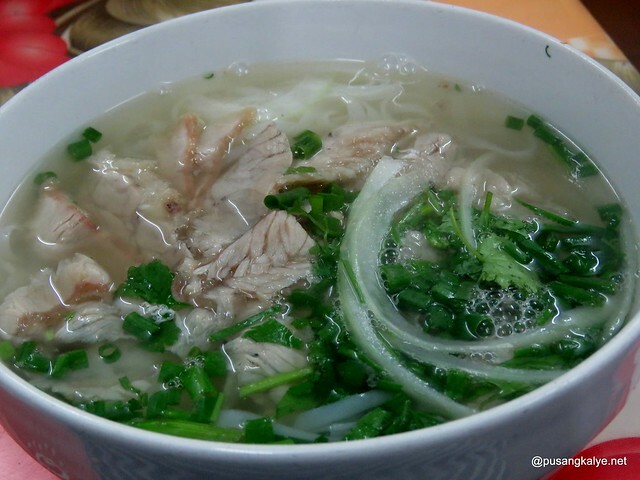 The quality of the noodles could also set apart some Phở shops from others. 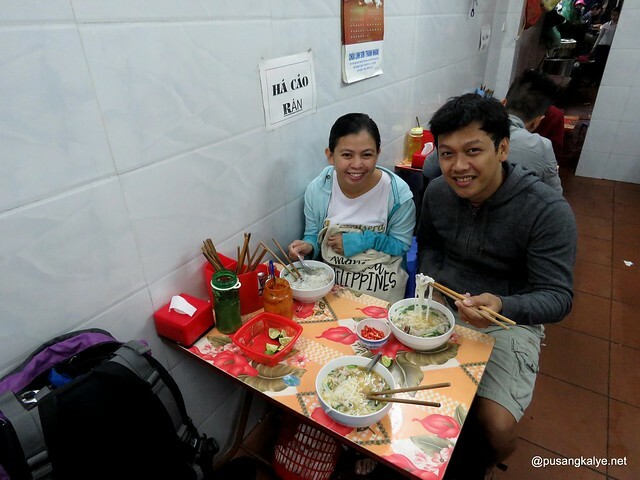 The best part, a big bowl of Phở only costs 80 pesos when converted to Philippine currency. Phở is originally a breakfast thing but it is available everywhere at any given time of the day. I was all about phở morning , noon and night my stomach barely had space for other food as I was all about Phở during my 5-days stay. 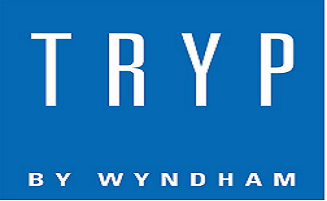 The name is so confusing right? 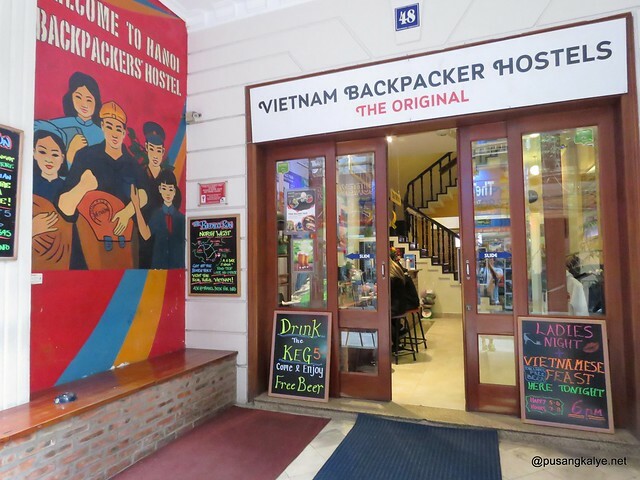 I booked for Vietnam Backpacker Hostel but on their website and lobby it say Hanoi Backpackers Hostel. And I experienced the actual confusion when looking for the place. I ended up in Hanoi Backpackers Hostel somewhere a few intersections away only to find out they are not associated with each other. Hanoi on trademark after all is very different with Vietnam right? Good thing the receptionist at Hanoi Backpackers Hostel was kind enough to allow me access to their wifi or else it would have taken me too long to find this place. 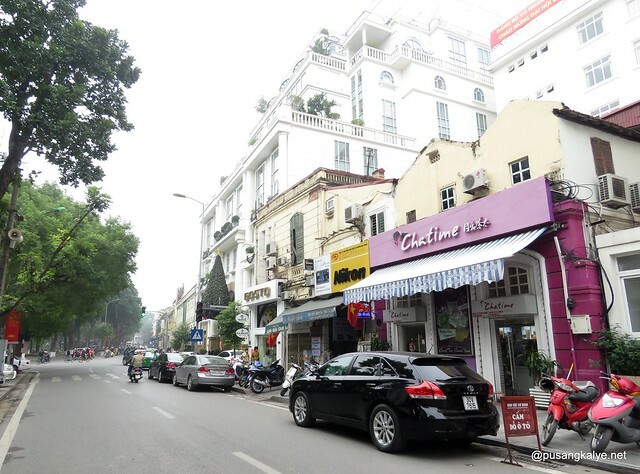 Situated down a small, quiet lane just 1 block north of the steps of the St Joseph’s Cathedral in the centre of town and 3 minutes walk to Hoan Kiem Lake. 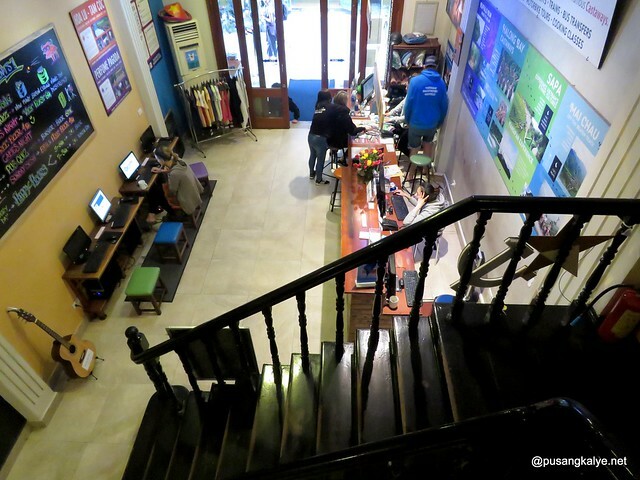 The hostel is perfectly located to explore Hanoi’s Old Quarter. 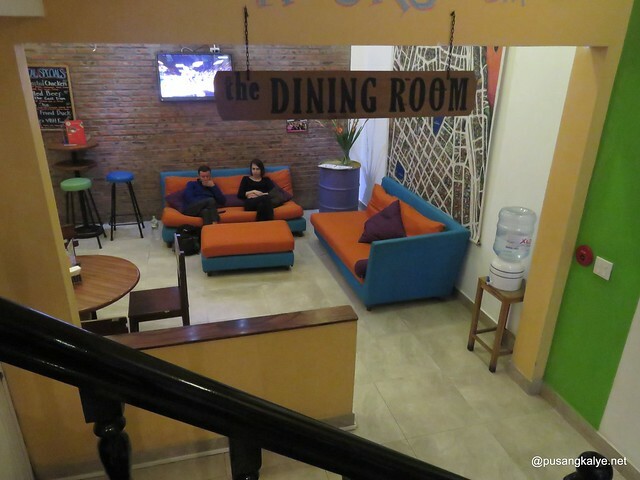 The Hostel’s feel is relaxed and friendly. The staff are there to help with any advice that you need to get you out, about and enjoying Hanoi to the fullest. 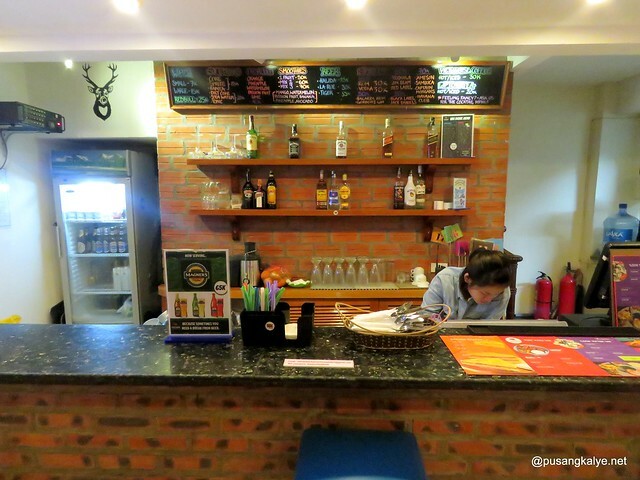 At any rate, I arrived at my "correct" hostel --- Vietnam Backpackers Hostel --- very early at 10:00 am but reception was kind enough to check me in earlier at no extra charge. She also waived my charges for my booking the day before since I slept over at my newfound buddies' hostel and didn't use it. Very cool indeed. Also, at $10 per night for a hostel this nice is such a joy. Vietnam Backpacker's Hostel Hanoi Original offers complementary walking tour of the Old Quarter and the Cathedral area everyday from 10:00am. Yes, it's free, you just have to inform reception that you are interested to join. I was offered the free walking tour by front desk upon check in but I declined it because I have a scheduled walking tour with Hanoi Kids the next day so as not to be redundant and therefore save time. I also wanted ro explore on my own first. 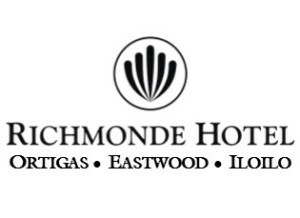 My first time to do solo international travel so gusto kong namnamin. I walked past St. Joseph’s Cathedral which I find intriguing. This one is the Hanoi equivalent of the Cathedral in Ho Chi Minh City next to the Central Post Office. 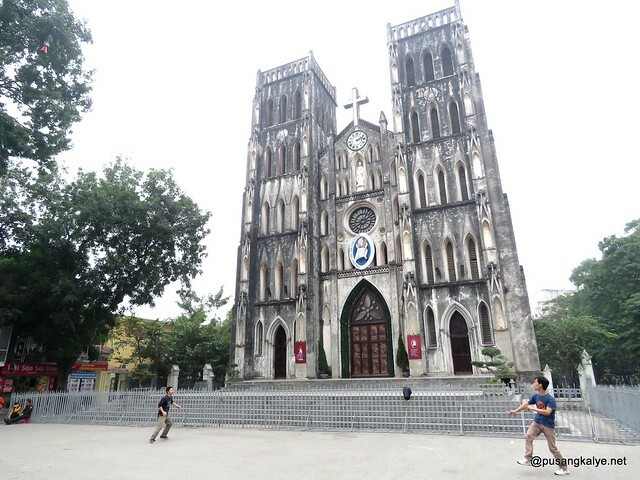 St. Joseph's Hanoi is a late 19th-century Neo-Gothic style church serves as the cathedral of the Roman Archdiocese of Hanoi to nearly 4 million Catholics in the country. I find this surprising because Vietnam is a communist country but it seems they are friendly to Catholicism. Three minutes walk later and I found myself around Hoan Kiem Lake. 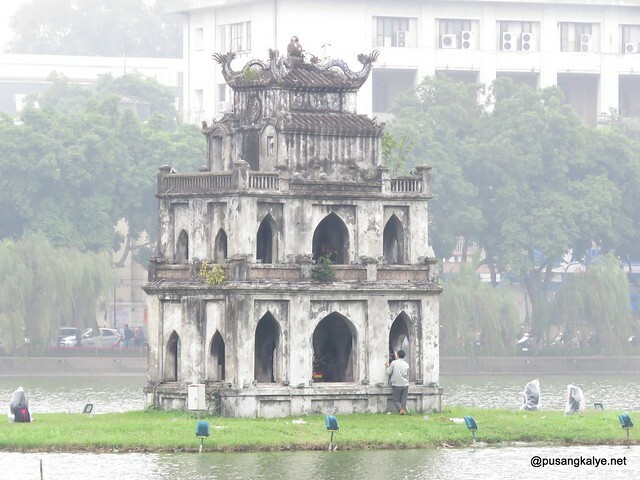 The lake is considered the center of Hanoi, not only physically but also symbolically. The lake is not only special in her history. The water color of Hoan Kiem Lake is not commonly found in other lakes elsewhere in the country: greenish, with dark or light shade depending on the reflection of the sky. The lake is full of tortoise, which is second to none to be found among Vietnamese lakes. If you are lucky, you will catch sight of these giant animals rising out of water. And because tortoise is considered a sacred animal in Vietnam's Culture along with dragon, phoenix and unicorn), Hoan Kiem Lake then become a holy place that nurtures tortoise. Sadly, I was told by my guide the next day that the time I was along the lake something really bad happened. The oldest and largest of the tortoise died for reasons still unknown. Many people mourned for the death of the revered animal. Strolling along the lake gives you a sense of Hanoi life. 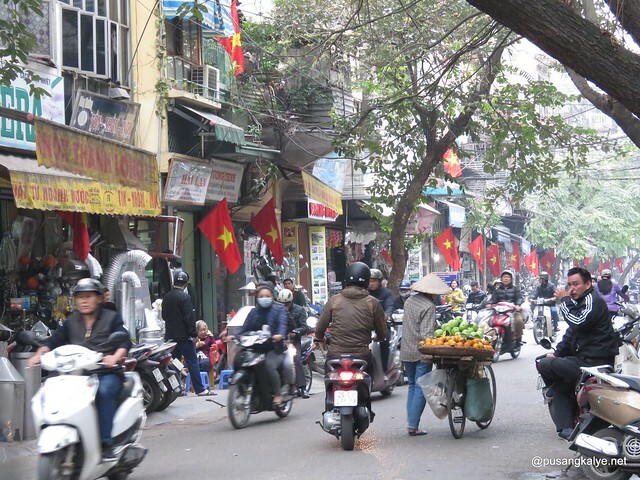 Despite the hurried stride of millions of motorbikes around the city, Hanoi is still relaxed and laid back. That adds to the charm of this city in boom. I ended up in the Northern section of the lake towards the famous Silk Street where I bought a few shirts for pasalubong and for myself. I also dropped by one Bun thang shop. “Bun thang got its name because it is made up of a lot of ingredients, a bit like a pack of thuoc bac,” she explains. “It is also good for the health and makes you feel fantastic after eating a bowl of it. 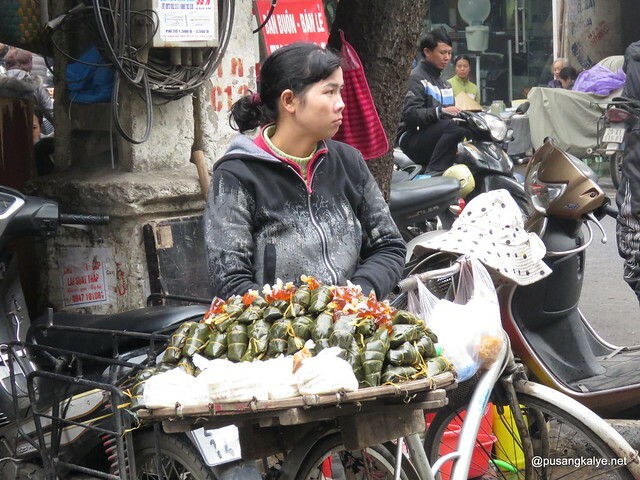 Making bun thang is a painstaking process requiring no less than a dozen ingredients, including chicken meat, pig bones and meat, eggs, dried shrimp, lean pork paste, shrimp paste, onion, mushroom, belostomatidae essence (the essence of the giant water beetle) and herbs. The name of the dish, bun thang, is comprised of ‘bun’ and ‘thang’. 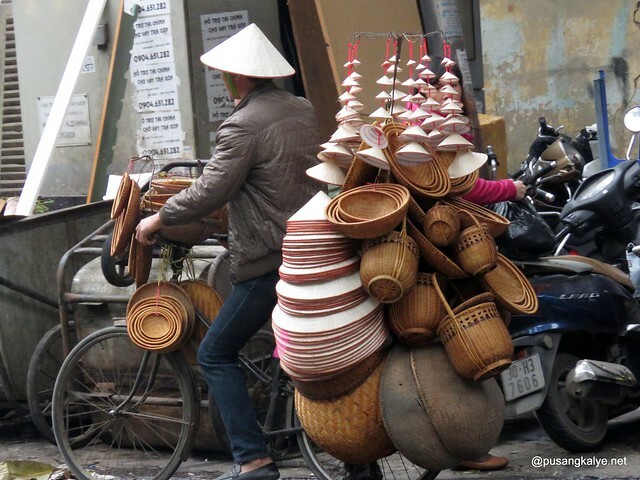 ‘Bun’ means noodles while ‘thang’ is translated literally as ladder. 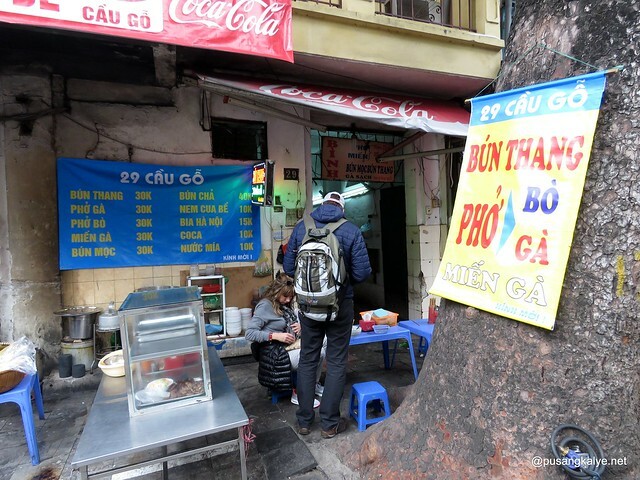 However, according to Ms. Ly, the owner of the eatery on Hang Hom, ‘thang’ also comes from the word for a ‘pack’ of northern medicinal herbs, or thang thuoc bac. Passed through an old city gate to the Old Quarters that eventually lead me to a public market. 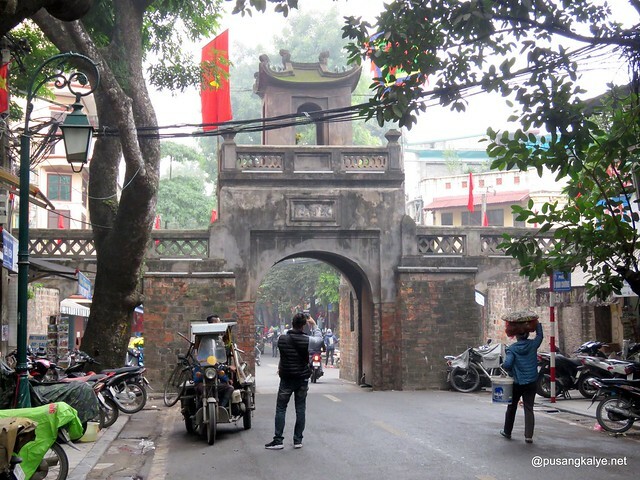 Old City Gate: In 1010 the population of Thang Long (present day Hanoi) built the thick city gates. The area inside was reserved for the king and his court. The wall was surrounded by a deep ditch filled with water which was linked by a network of canals. Access to the Royal City was by four gates, and in the front of each gate was a vast square on which the biggest markets were held. 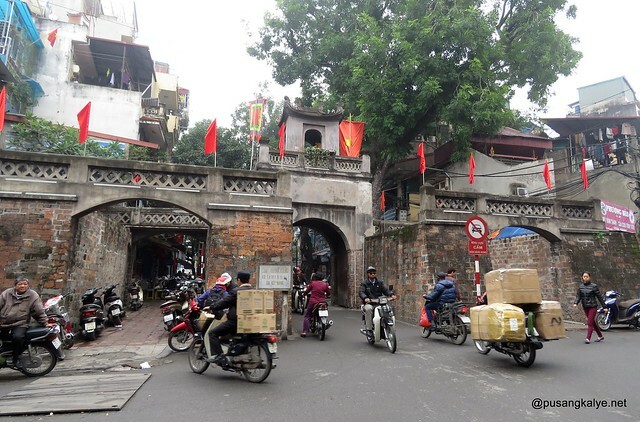 Today only one gate remains at the end of Hang Chieu street where it meets Quan Chuong. 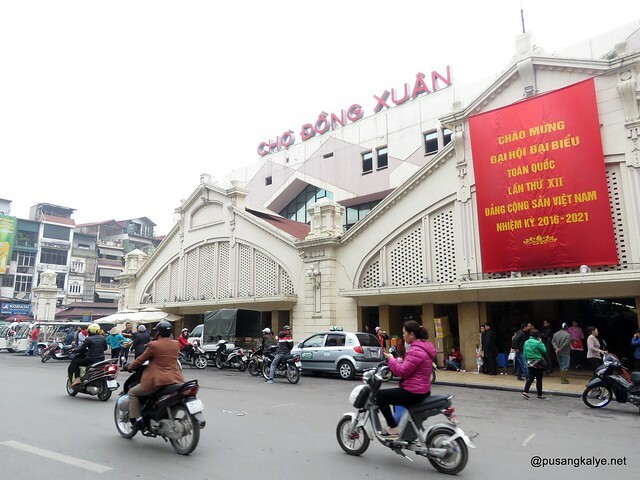 Dong Xuan Market, or Cho Dong Xuan, is the oldest and largest market in Hanoi. 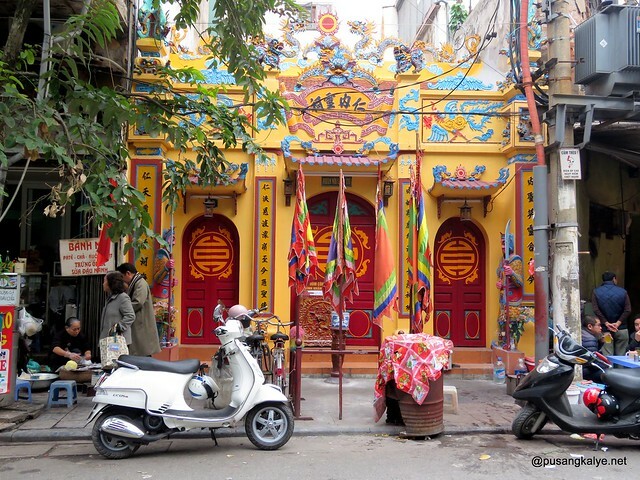 It is located at Dong Xuan Street, at the end of Hang Dao Street, on the northern part of the Old Quarters. 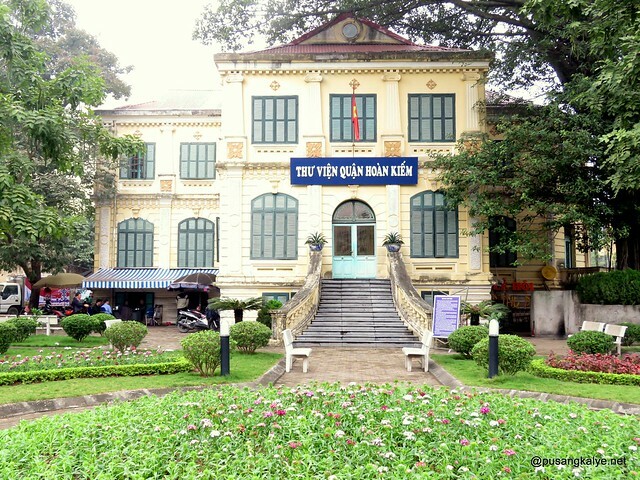 The original building was constructed in 1889, on the site of one of Hanoi's lakes. 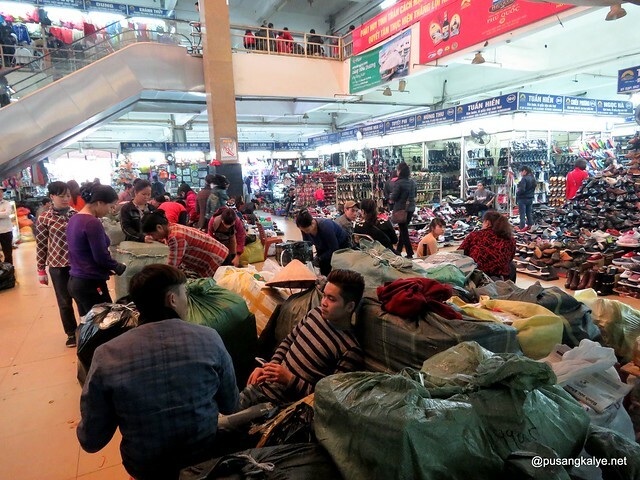 This was where I shopped for a winter jacket without which I should have died in the sudden drop in temperature the afternoon after buying it and all throughout the days I moved to Halong City and left Hanoi. It was such a bargain. 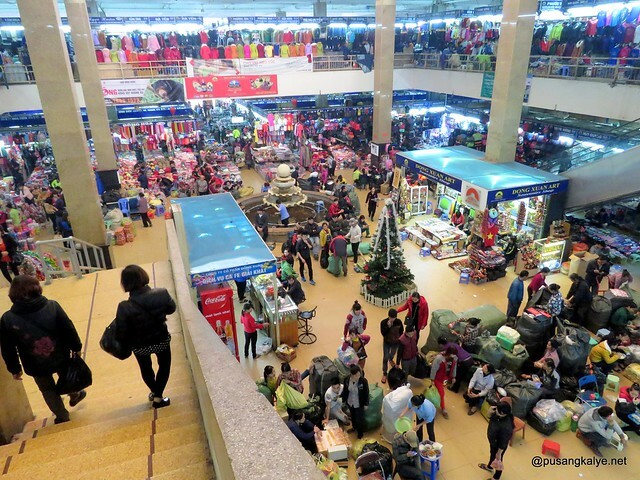 One has to be good at haggling though to get the best value out of your money when buying in Cho Do Xuan Market. 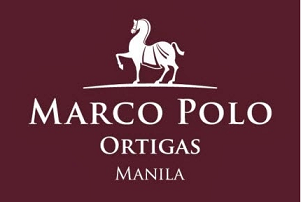 This is the equivalent of Divisoria in Old Manila less the bad smell. I also noticed that some of the good are only sold in bulk. Too bad because I wanted to buy some gloves and other fashion items but they only sell by dozens. So how do go around the Old Quarters? There are taxi's sure, buses? I hardly noticed public buses but ones for organized tours. The streets in the old Quarters could narrow to small alleys that hiring a motorbike driver is a very good option. They are everywhere especially in tourist areas and near hotels. 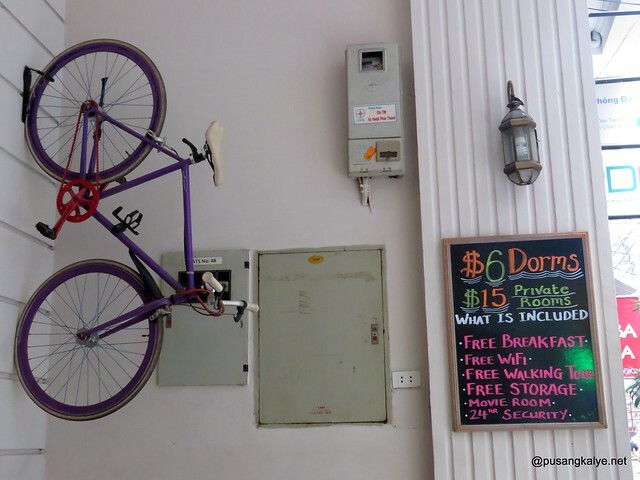 Each time I went out of my hostel I would always hear a motorbike driver offering me a ride. 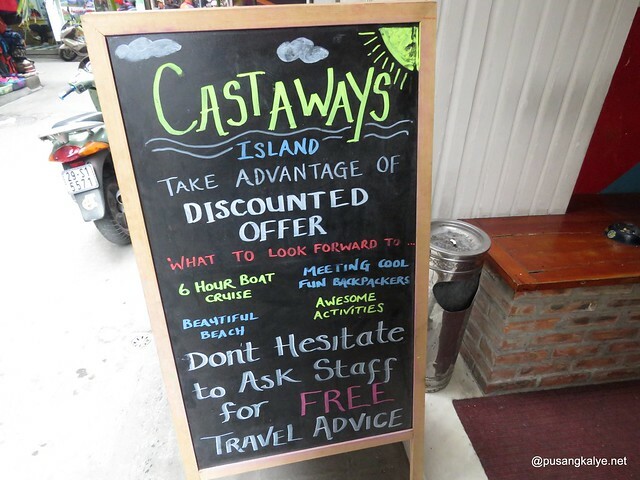 Be very good at haggling because they offer twice the standard price. 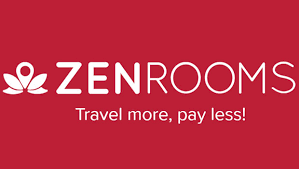 I only figured out later that I have been paying motorbike drivers almost the same rate as taxis. But it's really fun and in most cases adrenaline-filled. I remember crunching whenever we cross intersections and motorbikes from all directions also try to cross at the same time. Such a joyride and hey, they take you to your destination in no time, even in very small alleys. Vietnamese are not good English speakers but they can easily understand you, just keep a map handy. Next, I will talk about my Free Walking tour with Hanoi Kids. I will link it here as soon as I had it published. Cheers!